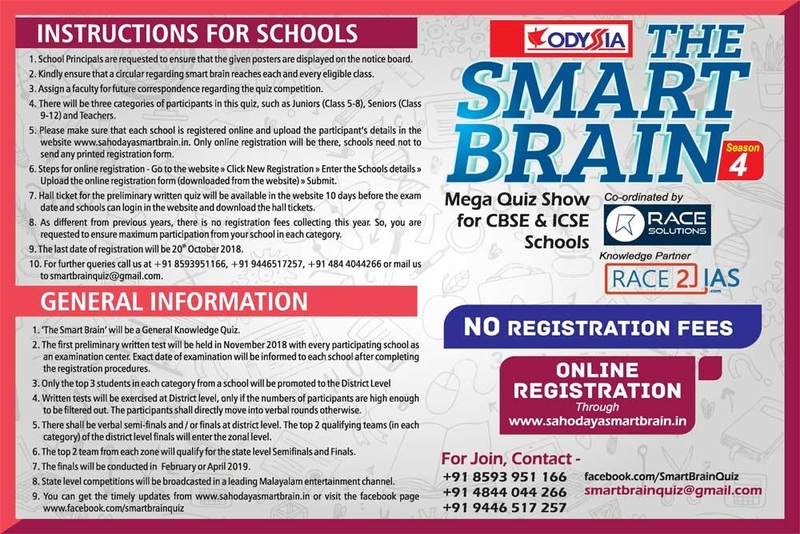 Smart Brain a Mega Quiz Competition for all Schools across Kerala,Bahrain & Qatar. All school students across Kerala , Bahrain & Qatar from 5th standard to 12th standard can participate in this quiz competition. ** This Mega Quiz show has 4 levels of competition. Preliminary written test in Schools itself, District level , Zonal level and Grand Finale. ** The preliminary level starts in November 2018 and end up with Grand Finale in February/April 2019. ** Every participant can attend the preliminary written quiz at their own school itself. ** From District level(In Middle East Zonal Level) onwards verbal quiz show will be started. 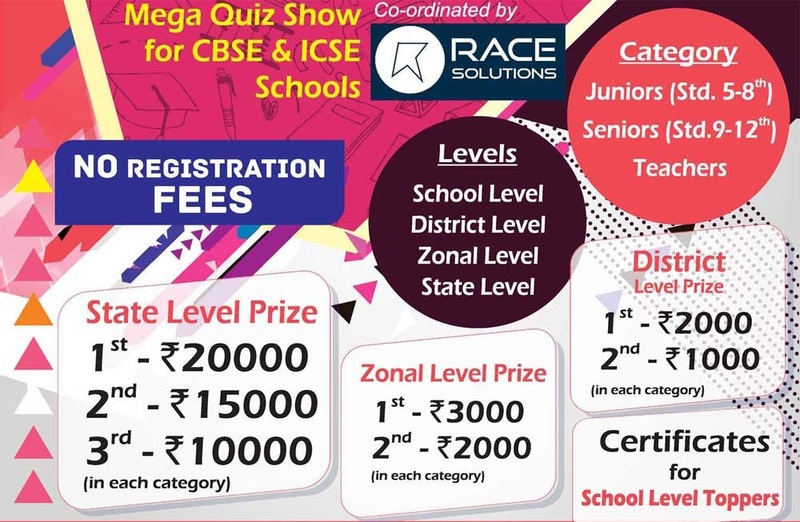 ** RACE Solutions, Cochin who are the Educational experts will be the coordinating partner this season as well. ** A grand opportunity to showcase the brilliance of students. In Smart Brain Season 1 Flowers TV was the telecasting partner, in Smart Brain Season 2 Jaihind TV and Season 3 Janam Tv as well.It is the only Quiz show of Confederation of Sahodaya Complexes is being telecasted in television. 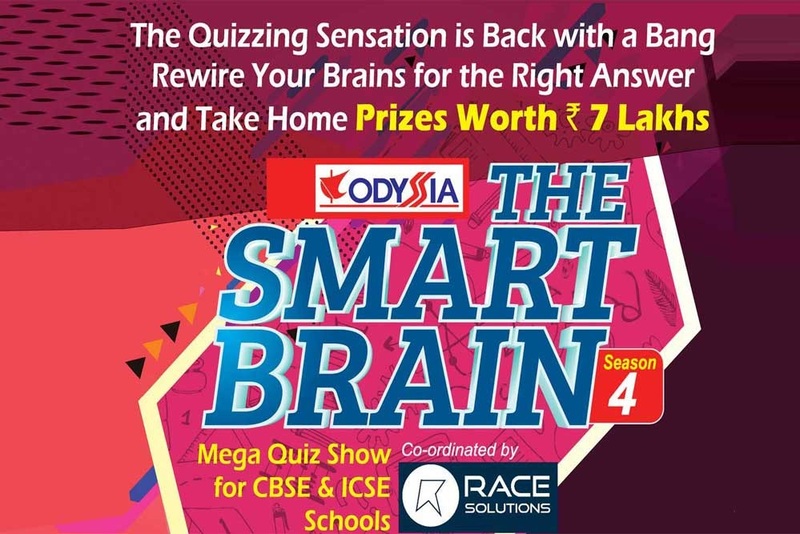 Season 4 telecasting will be started on May to August 2019.Previous seasons telecasting episodes can be view in Youtube channel.It is the only Mega Quiz Show for school students is being telecasted in television. Our primary aim at ensuring the complete participation from all the schools and students from all schools spread far and wide across Kerala ,Bahrain and Qatar.The competition also has the motive to strengthen the bond and cooperative attitude between member institutions under the fraternity.